Toyota unveiled two new versions of the Prius at the Detroit Auto Show–the Prius V family-sized vehicle and the Prius c, a city-centric hybrid. 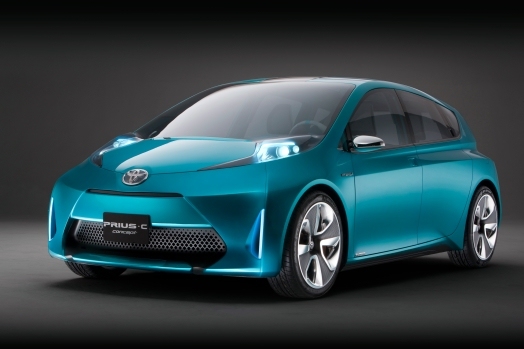 The Prius name is ubiquitous with hybrid vehicles–in a press conference at this week’s Detroit Auto Show, Bob Carter, Toyota Division group VP and general manager, went to far as to compare the Prius/hybrid connection to Kleenex and tissues. Since its debut in 2000, nearly one million Prius’s have been sold–and Toyota, as a result, has brought hybrids into the mainstream. So it makes sense that Toyota unveiling two new versions of the Prius–the Prius V family-sized vehicle (above) and the Prius c, a city-centric hybrid–today in Detroit. 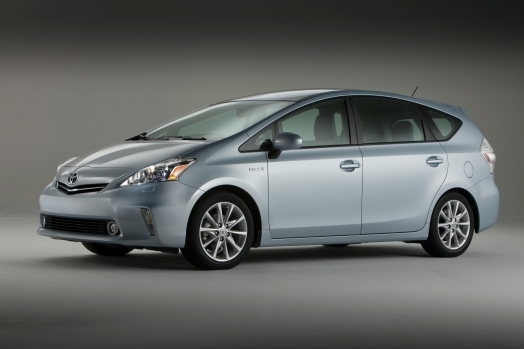 When Toyota first debuted the Prius, it was looked at as a novelty. But “everybody sees opportunity now that hybrid technology has been proven,” says Jim Colon, Toyota’s VP of product communications. That’s why Toyota is expanding the Prius line into new markets. Colon explains. The vehicle will go on sale this summer. The Prius c, on the other hand, is still a concept. The compact car gets the highest mileage of any non plug-in hybrid. And while the Prius c is still a concept, it is the inspiration for another Prius that will be released in early 2012. According to Colon, it could be competitively priced enough for urbanites who might otherwise not be able to afford a hybrid. “We will surprise people with hybrid pricing,” he says. This is just the beginning for the Prius line of vehicles. Colon tells Fast Company that we can possibly anticipate a larger Prius and a sportier Prius in the future. A Prius supercar, perhaps? “By 2020, there will be a significant change in our lineup,” Colon says. Read more coverage of the 2011 Detroit Auto Show.